Whenever you experience pain, burning and tingling in your feet or toes, make an appointment with our Torrance office. Left untreated, tarsal tunnel syndrome could result in permanent nerve damage. 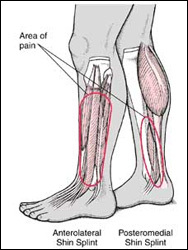 Treatment for tarsal tunnel syndrome varies depending on the severity of your condition. Anti-inflammatory medications, cortisone injections, immobilization, rest and modifications in footwear are a few methods used to treat the damaged nerve and reduce the pain. When non-surgical treatments are unsuccessful, surgery may be recommended.